Pity poor BP. In an act of noble corporate citizenship the oil company rushed to make amends for that little problem it encountered down in the Gulf of Mexico a few years ago – only to find itself picked on by those big bullies in the plaintiffs’ bar. Hey, don’t laugh. That’s the serious take of a serious columnist for a serious newspaper. Joe Nocera of The New York Times is deeply upset that more than three years after BP’s Deepwater Horizon drilling rig exploded, killing 11 (deaths for which the company pled guilty to multiple counts, including felony manslaughter), injuring 17 and setting off the worst environmental disaster in American history, BP hasn’t gotten its corporate life back, so to speak. BP is the best example I’ve ever seen of a company that actually tried to find a better way. Immediately after the spill, it set up a claims process to get money into victims’ hands quickly, without having to file a lawsuit. Though that process had its critics, it worked. 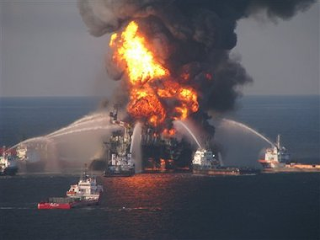 Of the $11 billion BP has paid out in claims, $6.3 billion was paid through that process. But BP did not set up this process out of the goodness of its heart. It did so under pressure from the Obama Administration, and, as we pointed out in our comprehensive 2010 report, because such a process is required by federal law. BP made sure the process was set up in a way that limited its exposure and obtained final releases of liability from victims for as little as possible. Contrary to Nocera’s insinuation, the process did not provide a magical solution which adequately replaced the right to seek redress in court. Victims whose lives have been devastated by the spill had to make impossible decisions – accept a settlement without knowing how much the spill ultimately may cost them or take their chances in the court system where the deck might also be stacked against them. ● The way the administrator of claims was paid raised questions about whether he put BP’s interests ahead of victims’. ● Victims received insufficient information when their claims were denied or underpaid. ● To get any payment at all, victims had to sign away their right to seek compensation for future, unforeseen losses. Nocera then takes a cheap shot at the judge, condemning him for once having been “a Louisiana plaintiffs’ lawyer …” But here’s the thing about judges: they’re almost always lawyers. And lawyers often specialize in one side or the other. Does Nocera really believe that only a corporate lawyer can be objective? a former chairman of the Texas State GOP Executive Committee who once characterized the League of Women Voters as the ‘plague of women voters,’ and referred to the International Women’s Year Conference as a ‘gaggle of outcasts, misfits, and rejects,’ with ‘perverted views.’ He was also an oil-industry lawyer, specializing in federal energy litigation – a category of cases he now frequently hears as a judge in the oil-soaked Fifth Circuit. Perhaps most alarming, Nocera snidely dismisses the notion of helping people who were harmed “indirectly” – seeing that as nothing but a loophole for those bad, bad plaintiffs’ lawyers to take advantage of. But “indirect” harm can mean a tourist business bankrupted because people changed their vacation plans. Or it can mean damage to a seafood business caused because people just didn’t want to eat seafood from the Gulf. The federal law governing damages caused by oil spills allows victims to recover for exactly this type of indirect harm. “We all have experiences that shape our view of the world, and this was one of mine,” Nocera wrote. Yes, we all have such experiences, and we all are affected by them. But we also must be on guard against the tyranny of personal experience – how the raw emotional impact of something we’ve seen with our own eyes can blind us to context and even to facts. We can’t help but wonder: What if Joe Nocera’s father ran a seafood business that had been wiped out by the “indirect” effects of an oil spill. What would he be writing today? On Thursday, July 18, the House Subcommittee on the Constitution and Civil Justice held a hearing on the status of the Voting Rights Act (VRA) after Shelby County v. Holder struck down Section 4 of the law. That section determined which states required preclearance before making changes to voting laws and procedures. The hearing opened with a statement by Chairman Trent Franks, R-Ariz., one of only 33 Republicans in Congress to vote against the reauthorization of the VRA in 2006. The overarching message from the Republican subcommittee members paralleled Chief Justice John Roberts’s Shelby County opinion: legislative remedies should respond to current conditions, and removal of the coverage formula in Section 4(b) does not spell doom for the VRA because it leaves intact other mechanisms for remedying voter discrimination. Rep. Franks remarked on the virtues of reviewing allegations of voter discrimination under Section 3, which allows “bail-in” of jurisdictions with a history of voter discrimination, subjecting them to preclearance under Section 5. Rep. Steve King, R-Iowa, notable for racially insensitive and controversial comments on immigration, took it one step further into the absurd, saying any update to the VRA should ban multilingual ballots. The panel of witnesses made the gulf between the current positions of the two parties eminently clear. The four witnesses included two opponents of the VRA’s coverage formula: J. Christian Adams of the conservative Election Law Center and Hans von Spakovsky of the Heritage Foundation. Also testifying were two advocates for voting rights: Professor Spencer Overton of George Washington University Law School and Robert A. Kengle of the Lawyers’ Committee for Civil Rights Under Law. Adams referred to voter discrimination in the country as “vague and attenuated so-called second-generational structural discrimination,” and stated that this was not enough to warrant federal intervention. The former DOJ Voting Section attorney argued that the low number of investigations brought under Section 2 since President Obama took office was evidence of virtually non-existent voting discrimination. Notwithstanding Adams’s logically dubious assertion – for example, reduced Section 2 enforcement could be a product of limited resources or the deterrent effects of Section 5 – his testimony omitted the fact that Section 5 preclearance, based on the Section 4(b) coverage formula, has preempted numerous discriminatory proposals for voting changes. Indeed, Rep. John Conyers, D-Mich., held up a binder containing 72 Department of Justice (DOJ) objections to proposed voting changes between 2000 and 2012. 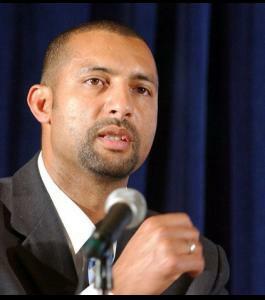 Adams, who served in the Department of Justice under George W. Bush, is known for racially inflammatory remarks. He recently suggested that the DOJ would be acting in concert with the New Black Panthers if it decided to pursue charges against George Zimmerman. Von Spakovsky, who, while working in the Justice Department, shifted the DOJ Civil Rights Division’s focus from voter protection to “voter fraud” and is a vocal proponent of voter ID laws, was similarly extreme in his remarks. Arguing that voter discrimination has virtually disappeared since 1965, he repeatedly cited a favorite statistic of Voting Rights Act opponents: Black voter registration and voting rates now outnumber that of whites in districts covered by Section 5, due in part to something he termed “apartheid redistricting.” As Justice Ginsburg would say, von Spakovsky clearly prefers to throw out his umbrella during a rainstorm. Furthermore, even though Shelby County explicitly refrained from making a determination on the constitutionality of Section 5, that did not stop von Spakovsky from suggesting that preclearance was no longer necessary since the American Civil Liberties Union has assets of $360 million to fight individual cases on behalf of disenfranchised minority voters. But Overton aptly pointed out that the cost and burdens of that level of litigation would be prohibitive to many victims of voter discrimination – costs borne not only by the litigants, but by the Department of Justice and the taxpayers. Thursday’s hearing made clear the challenges for congressional action after Shelby County. While House GOP members made few comments, Rep. King stated that any congressional effort with regards to voting rights would have to include provisions for voter ID and English-only ballots. Additionally, the extreme nature of the conservative witnesses’ testimony suggests that a compromise may be hard-won. This post discusses the testimony of Rep. John Lewis at a hearing of the Senate Judiciary Committee. 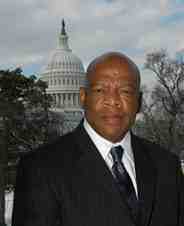 Rep. Lewis also was the keynote speaker at AFJ’s annual luncheon for young activists. You can see the video of that event at www.afj.org And read about some young people who are following Rep. Lewis’ example on our Bolder Advocacy blog. Rep. Lewis recounted his personal involvement in the voting rights movement before turning to the grim reality that the Supreme Court’s decision in Shelby County has already had a profound impact on the right to vote. In Shelby County, the five conservative justices held that the latest reauthorization of the VRA impermissibly relied on old data to decide which regions had to get approval from the federal government (a process called “preclearance”) before changing voting policies so that the federal government could ensure they were not disenfranchising minority communities (as detailed in Section 5 of the VRA). At the hearing, Sen. Chuck Grassley, R-Iowa, echoed the decision by Chief Justice Roberts, recounting the numerous improvements in equality for African Americans and other minority populations since the original passage of the VRA as evidence that the VRA was outdated. But Rep. Lewis explained that while progress has been made, the reaction to the Shelby decision showed just how crucial VRA still is for protecting voters’ rights. “Only hours after the decision was announced by the Supreme Court—before the ink was even dry—states began to put into force efforts to suppress people’s voting rights,” he testified. Senator Durbin noted that there is absolutely no evidence of the alleged voter fraud that has been used to justify voter ID laws and other voting restrictions that have been advanced by the conservative American Legislative Exchange Council and enacted by certain states, especially those that were until recently covered by Section 5 of the VRA. In contrast, Michael Carvin, an attorney at the corporate law firm Jones Day who has represented states in their attempts to preserve burdensome voting restrictions, stated that while Congress gathered 15,000 pages of evidence, they didn’t use it when reauthorizing the VRA but instead used the same formula from 1965 to decide which regions were subject to preclearance under Section 5 of the VRA. Apparently, Carvin did not allow for the possibility that, in those 15,000 pages, Congress found that the regions with the greatest problems in ensuring equal voting rights for all Americans in 1965 were highly correlated with those that had the greatest problems in 2006. Congress also included a provision that allowed areas covered by the formula to be “bailed out” from the preclearance requirement when they could show they didn’t have discriminatory practices. Since then, some jurisdictions have successfully bailed out of the preclearance requirement of the VRA. As the House and Senate work to create a new formula to reinvigorate the powerful protections of preclearance under Section 5, it is important to carefully consider what data might be used to create a law that protects the rights of all Americans to vote without fear of discrimination. Since preclearance prevented many laws that could have resulted in Section 2 lawsuits, Congress should look beyond these lawsuits for evidence of discriminatory practices. Since, as Commissioner Urbaez Weinberg explained, voter discrimination has gotten even “sneakier” in many areas that were not previously covered by Section 4, Congress should look at what new areas might need preclearance. Since in 2012, African Americans and Hispanics waited nearly twice as long to vote as whites, voter wait times may also be a critical indicator for preclearance. We agree with Sen. Grassley that “any legislative fix [to restore Section 5] should not threaten common sense measures to ensure the integrity of voting.” But Sen. Grassley was referring to a proposal to exempt Voter ID laws from scrutiny. Common sense dictates that if thousands of pages of evidence of voter discrimination were necessary to reauthorize the Voting Rights Act then something more than unsubstantiated claims of voter fraud are necessary to permit restrictive voter identification laws. I hope Senator Grassley and his colleagues will not delay the restoration of the VRA with fictions of voter fraud in light of the urgent, documented need to protect voting rights. Read more about the Voting Rights Act, and the arguments in Shelby County v. Holder.